Lipo 6 Black Ultra Concentrate Review - Does It Work? Home » Supplement Reviews » Lipo 6 Black Ultra Concentrate Review – Does It Really Work? What’s better than LIPO6? – Find out here. On the hunt for one of the most powerful fat burners that you can buy? You might want to take a close look at this Lipo 6 Black Ultra Concentrate review. Lipo 6 is a fat burner that has been around for quite some time and received numerous positive reviews from its users. Now, the creating company, Nutrex, has put out an even more concentrated version: Lipo 6 Black Ultra Concentrate. This version attempts to give you a stronger punch, ensuring that you burn up body fat faster than ever before. 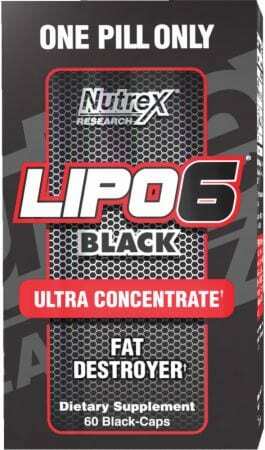 Check out this Lipo 6 Black Ultra Concentrate review to find out all the details. What’s in Lipo 6 Black Ultra Concentrate that makes it so effective? The first thing you’ll notice when looking at this product is the unfortunate fact that it is a proprietary blend. This means that you won’t know exactly what you’re getting with each serving you take as the company does not release information regarding the exact dosage of the ingredients found. For those who are worried about side effects, this is not ideal. Caffeine is a very well proven ingredient that will help to increase the overall level of calorie burning taking place in the body while also suppressing your appetite and giving you more energy, both in a physical as well as a mental sense. In addition to that, you’ll also get theobromine, which is also found in chocolate and can help to boost mental clarity. Combine this with the caffeine and you get a very strong mental boost with this supplement. Citrus Aurantium, which is also sometimes referred to as bitter orange, is very similar to the once-popular ingredient, ephedrine. 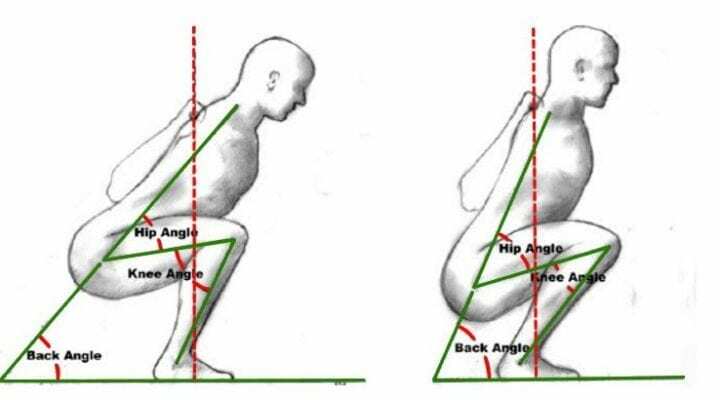 This helps to simulate the central nervous system and will help to increase total calorie expenditure over the course of the day and can enhance fat loss. With both caffeine as well as this however, your body will eventually become adapted to them and you’ll find you get less and less of a boost as time goes on. Yohimbe is another powerful fat loss ingredient and helps with the mobilization of fatty acids from the fat cells, which then allows them to be burned off more readily. Yohimbe tends to be especially effective when taken before exercise, especially when few carbohydrates are taken in around it. There isn’t a lot of research on Rauwolscine, however it appears to work in a similar manner as yohimbe. Without the data to support it though, it’s hard to say how much assistance you’ll get from it. You can see our favorite fat burning ingredients and our top 3 fat burners by clicking here. The product does not indicate how much of each ingredient you are getting, therefore it can be challenging to know how it compares to other products on the market and what you are really paying for. This concludes our Lipo 6 Black Ultra Concentrate review. But all in all, this product would be a lot better if they told you how much of each ingredient you are getting. There’s no question that the ingredients it does contain can be quite powerful as far as fat burning is concerned, but without really knowing how much of each ingredient you are getting, it’s hard to know for sure how many benefits you’ll see. The potential for side effects is also quite strong, so tread with caution while using this product. Likely it will produce good results, however you may experience a side effect or two from using it, especially long term. Unfortunately this fat burner does not make it to the Top 3 Fat Burners on the market today. Does Lipo 6 Black Ultra Concentrate Come With Side Effects? Now that you know a little more about the ingredients, what are the side effects you can expect to experience? They may also experience racing heart rates. Likewise, those using bitter orange have also reported racing heart rates and in extreme cases when too much was taken, heart attacks were even scene. It’s very critical that you don’t use this product if you currently experience any heart health issues and that you always abide by the proper dosing instructions. This is one product that, especially given you don’t know exactly what’s in it, it could become very dangerous if taken in with high dosages. Just as any other product containing caffeine, it’s also smart to take this at least six hours prior to going to bed to avoid issues with your sleep quality and/or duration. Lipo 6 Black Ultra Concentrate can be purchased in any location you can purchase other fat burners, such as Amazon.com, GNC, as well as Bodybuilding.com. It is a much lower cost product on the market, retailing for around $25 for a 60 capsule bottle. Considering you are to take just one capsule per day, this makes it a very cost effective option for those who are looking to lose fat and need a more powerful product. How Do I Take Lipo 6 Black Ultra Concentrate? You should take one capsule of this product about 30-60 minutes prior to a meal. You are not to exceed one capsule per dose and not to exceed two doses per day. You should also avoid taking this product within six hours of bedtime or it may interfere with your sleep quality. It should be relatively safe if you are not sensitive to a high caffeine intake, some individuals may experience side effects like. Anxiety, racing heart rate, feeling of jittery or headaches. Would you recommend another fat burner besides Lipo 6? Lipo 6 may be a decent fat burner there is no way of knowing how effective it will be. That’s because it contains proprietary blends that don’t reveal how much of each ingredient is in the product. That can be a problem for those seeking the best fat burner out there. Here are our top 3 recommended fat burners.